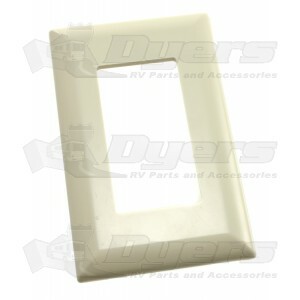 Ivory plastic wallplate will not change shape under heat or cold conditions. Openings will accept either decorator switches or receptacles. It seemed like replacing a product like this would be extremely easy but I did a local search without luck then did a very extensive online search and was able to find it only at Dyers. Thanks Dyers.